I find it so ironic that as the Eastern Coast faces a major hurricane this morning, that our weather here in East Tennessee is incredible. Its in the high 60s, light breeze, and amazing weather. I am enjoying this beautiful weather; however, my prayers are with the millions of people getting ready to face this hurricane. In other Saturday morning news, I am taking advantage of this amazing weather, and got up early to work around the house. First things: Water the Grass. Our yard is sooooo dry, and we have been watering all week. Matt mowed the lawn last night, and then we began watering again this morning. 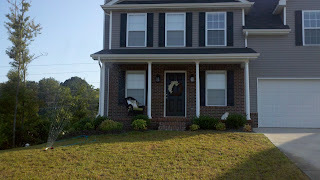 You May Also Notice My White Cat, Scooter-Man Davis, chill'n on the porch. He loves when we are outside, he just chills and rolls. Also, I have not revealed any house decor pics, and thought I give you a close up of the front porch. 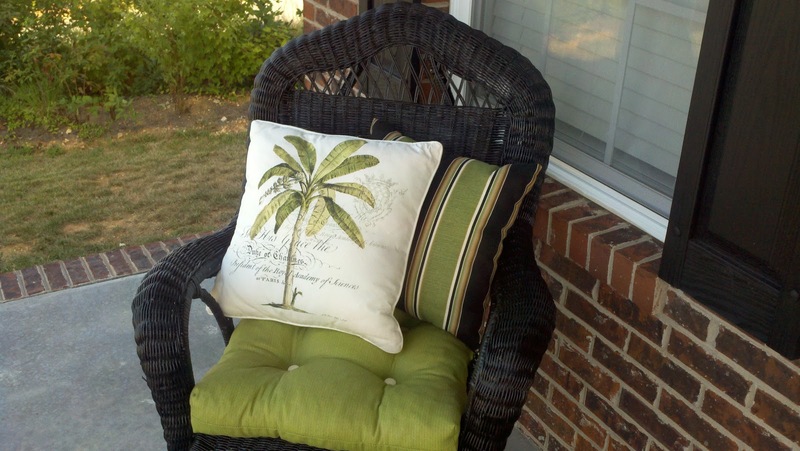 Front Porch Chair - This Chair used to be white and I decided to paint it black and add a few throw pillows. I am hoping to get a small table or two black planters to add flowers to the porch. 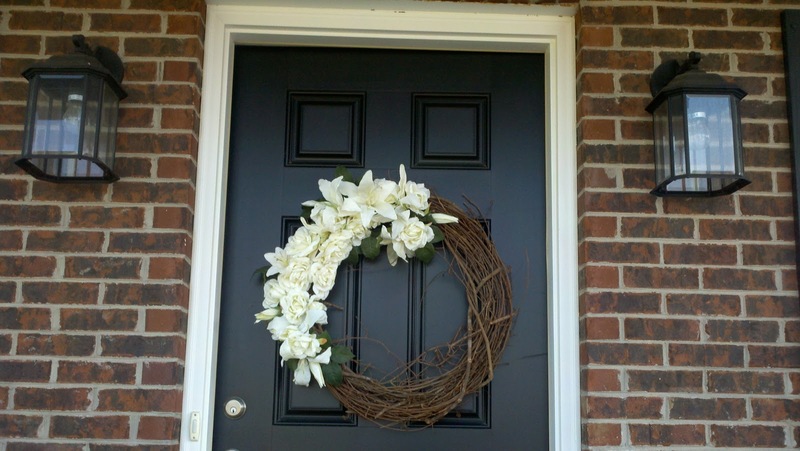 Summer Front Door Wreath - This Wreath actually was on the church door the day I got married, and I have treasured it since!! Church Door on our Wedding Day! I am reminded of the blessing of that day, each time we pass through the front door and see this wreath. God is So Good!! Have a wonderful & blessed weekend friends!!! Love Ya!